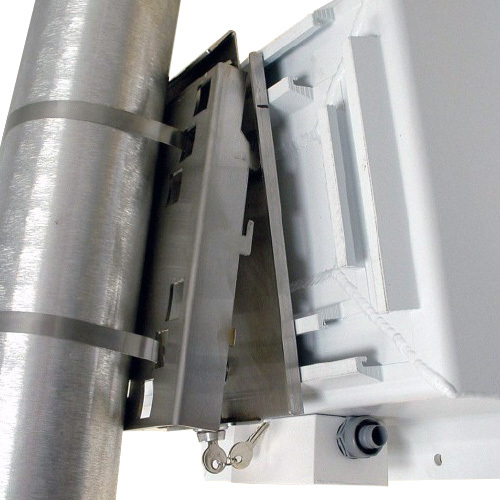 The locking pole mount bracket set was specifically designed to secure the TC-500B battery powered radar speed sign easily and safely to multiple pole or post locations. There are two pieces to the bracket, a pole mount component and sign mount component. 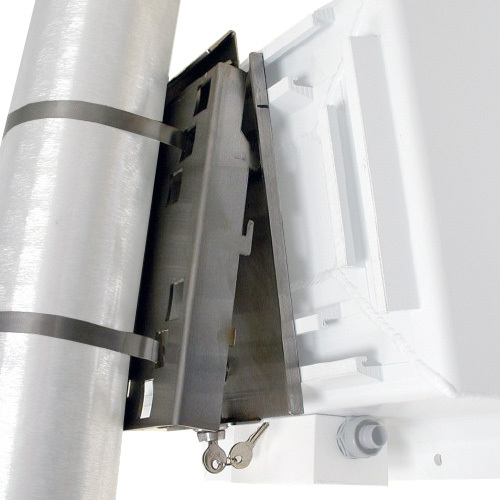 The back pole mount bracket attaches permanently to each pole/post location. The heavy-duty stainless steel bracket can be mounted to a pole or post using a pipe clamp (included with the sign purchase), a U-bolt or a carriage bolt.The front bracket attaches permanently to the radar speed sign. The sign can then be moved to multiple pole locations that have a back pole mount bracket installed. A lock and two keys are included with the battery powered sign.